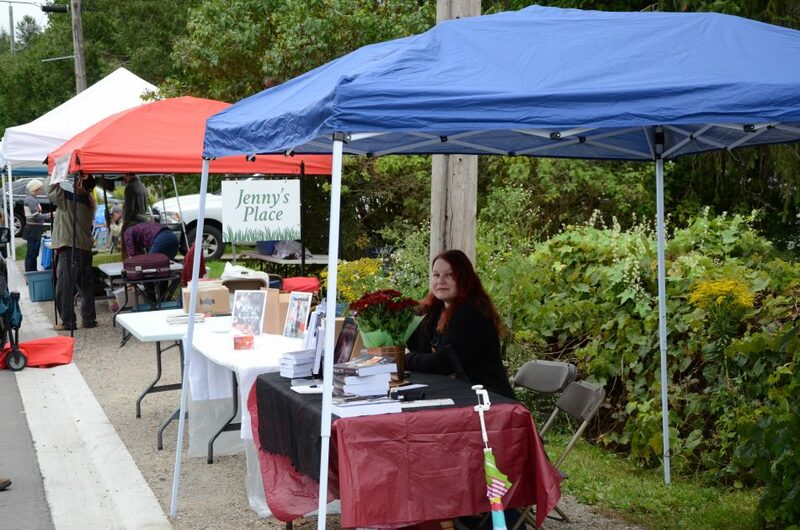 Aspasía S. Bissas, ready for the start of Eden Mills Writers’ Festival, Eden Mills, ON, Canada, September 9, 2018. Picture: Scott Morrison. A great cover always helps. Aspasía’s new short story, Blood Magic, teases readers and allows them to warm up before things get serious. By the end of page 1, the clever wit and sense of humour her readers are so familiar with, grips you. Set in the same realm as her debut novel, “badass” Mara and loyal companion Lee are back. Still on the run from Nigel and the Enlightenment, the pair stops for a bite to eat. But our hero and heroine don’t just drink up and leave. Mara wants somebody to turn. Lee doesn’t want to be turned. So who will it be: a mouthy waitress, Trina’s ex boyfriend, or the touchy-feely guy at the end of the bar? A sign of the times, this short story should be folded up, put inside an envelope, and slid inside the goody bags ready for the male attendees of the next Golden Globe Awards. Pertinent. On-trend. A standout example of how short fiction can be germane to the main theme of today’s news. If aliens need a time capsule for the state of the world in 2018, Blood Magic is it. Or, if they want a 6th gear, fast-paced thriller that won’t ask too much of their time, this too, is it. You know, when you need a little something between books. Something good to read whilst you wait for the kettle to boil. It’ll take you three cups of tea to finish the story. Four max. And by the end of it, you’ll ditch your decaf for a cup of camomile. How long before the next instalment, Aspasia? Blood Magic leaves us wanting more. 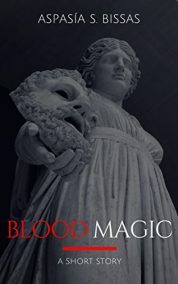 Blood Magic is available for free on Smashwords, iBooks and Kobo. Or, if you want to pay for it, available for purchase on Kindle. Read Callum’s review of Love Lies Bleeding here: https://vamped.org/2017/11/29/love-blood-botanical-science-aspasia-s-bissas-stake-vampire-romance/. For more information on Bissas’ work, visit: https://aspasiasbissas.com/.